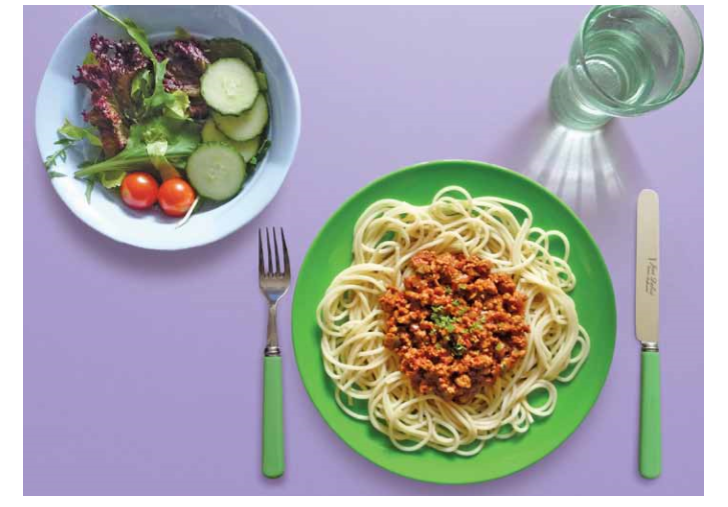 Bolognese sauce - This recipe makes 4 portions of about 180gm. Heat the oil in a saucepan, add the minced beef and cook for 5 minutes, until lightly browned. Add the onions, celery, crushed garlic, and mixed herbs. Add the chopped tomatoes. Bring to the boil, then turn down the heat and simmer uncovered for about an hour, stirring occasionally.